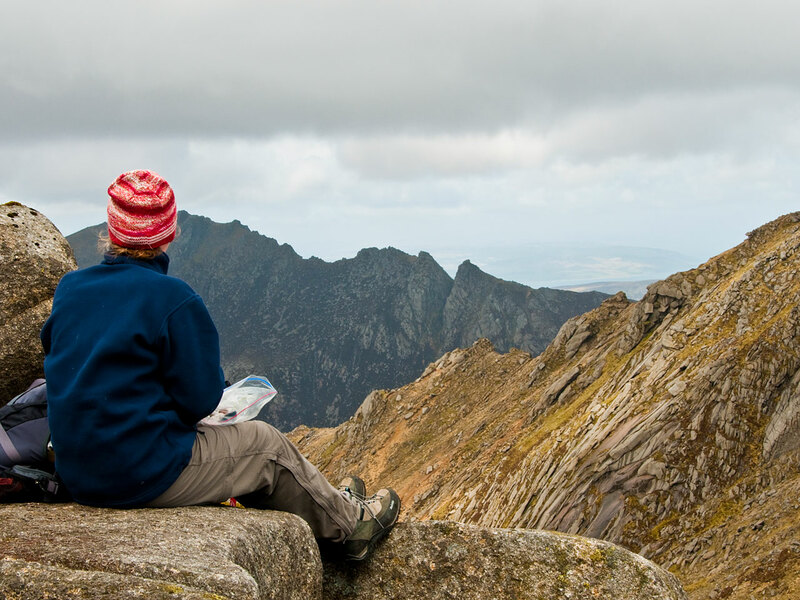 Geologically Arran is regarded as a unique microcosm of Scottish geology and is, indeed, a geologist’s paradise, documenting events of the last 700 million years as Arran travelled through time from the southern oceans. The schist at Lochranza was once ancient sea bed, having been pushed up to form a mountain range thousands of feet high. Eroded away by an earlier ice age, part of its foundation may be seen around Hutton’s Unconformity. 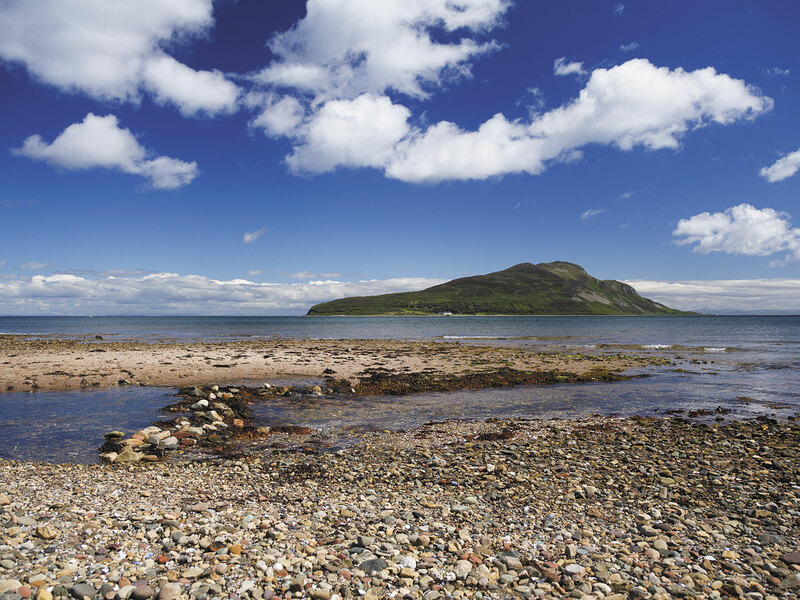 Early sandstones were laid down when Arran was part of a desert, during its journey south of the equator, some 600 million years ago. Some carboniferous rocks were laid down when it passed through the tropical rain-forest zone and then more desert layers in the northern hemisphere, before America took off westward. In North Glen Sannox, the oldest igneous rocks originated as molten lava on an ancient ocean floor that once separated the Highlands from the Lowlands some 470 million years ago. All these layers were intruded by granite around 60 million years ago, as molten rock moved upwards through the Earth’s crust, tilting them all up at an angle. The resultant granite mountains are said to have been over 12,000 feet high before they, too, became eroded during the most recent ice age, only about 55 million years ago, which gave the mountains their present form and which also shaved off all the layers of sandstone around the coast, making them visible to us today. With an area of some 167 square miles this, the seventh largest island around Great Britain, has seen continuous human habitation since the early Neolithic period. From the sixth century it was colonised from Ireland and became a centre of religious activity in the sixth century. St. Molais settled on Holy Island and, from there, spread the word of Christianity and ministered to the people of Arran, when a number of small chapels and churches became established around the Island. 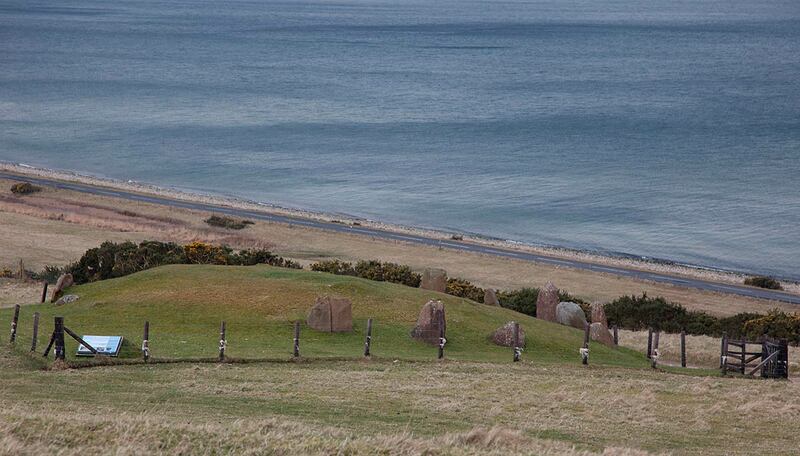 St Columba is believed to have visited Arran and the place where he rested on AnTuna is marked by a cairn to this day. 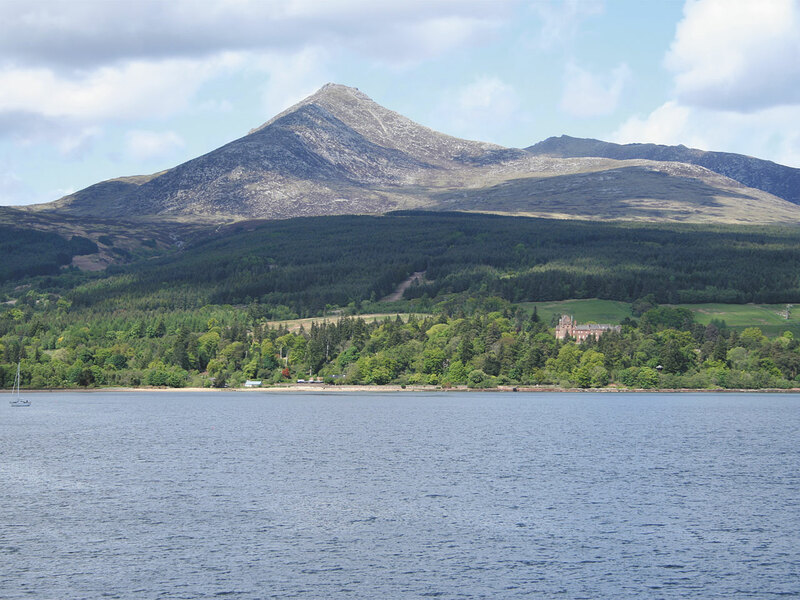 In the 11th century, Arran became part of the Kingdom of Mann and the Isles and later came under the direct rule of the Norwegian crown, before being resumed as part of Scotland in the 13th century, after the Vikings had been vanquished at Largs and King Somerled killed. 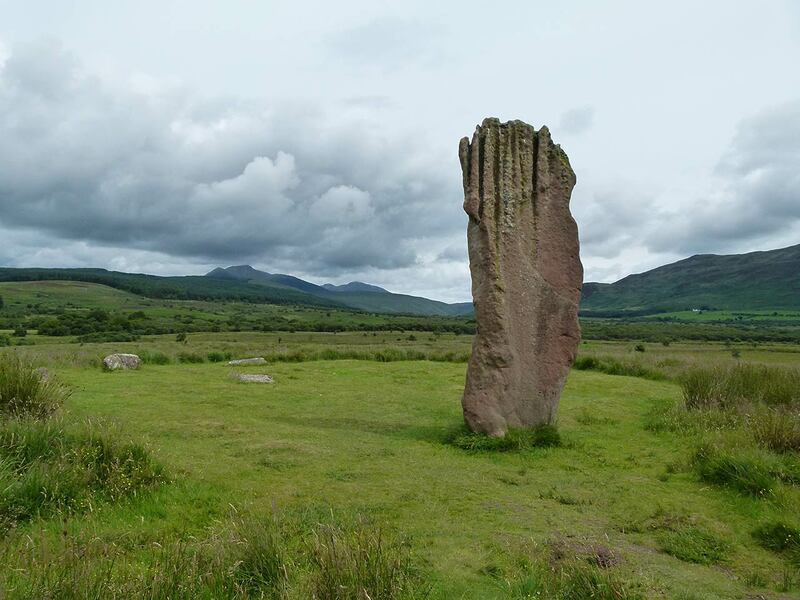 Robert Bruce crossed from Kintyre to Arran, where he spent some time sheltering in the King’s Cave, bel;ow Torr Righ (King’s Hill) near Machrie, before leading his army across the Island Probaly through Glenree (Glen Righ – King’s Glen) to King’s Cross before setting off on his quest for Scotland. Brodick Castle has seen action during the Wars of Independence and was captured by the English before being taken back by Scottish troops in 1307. It was again badly damaged by action from English ships in 1406 and was attacked by the Lord of the Isles in 1455. Garrisoned by Cromwell in the 17th century, the castle was considerably extended for his garrison, before the ornate front entrance and tower were added by Alexander, 10th Duke of Hamilton to mark the marriage of his son to Princess Marie von Baden in the mid 19th century. The property was lost to the Hamilton family as a result of high death duty taxation. Terminated as a happy family home by HM Treasury in 1956, it and most of the family’s personal belongings, were granted to the National Trust for Scotland to keep as a museum.